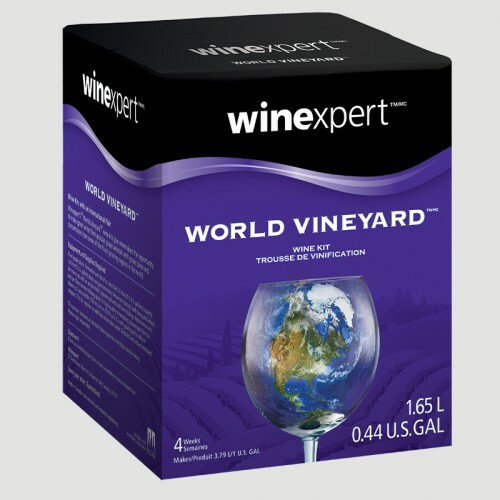 World Vineyard California Cabernet Sauvignon - 1 Gallon Wine Kit - Texas Brewing Inc.
World Vineyard California Cabernet Sauvignon - 1 Gallon Wine Kit. A fruit forward wine with flavors of cherry, raspberry and black currant finishing with rich, velvety tannins with sweet/spicy aroma on the nose. This kit contains all the ingredients to make 1 gallon of wine and will yield approximately 5 750ml bottles of wine.